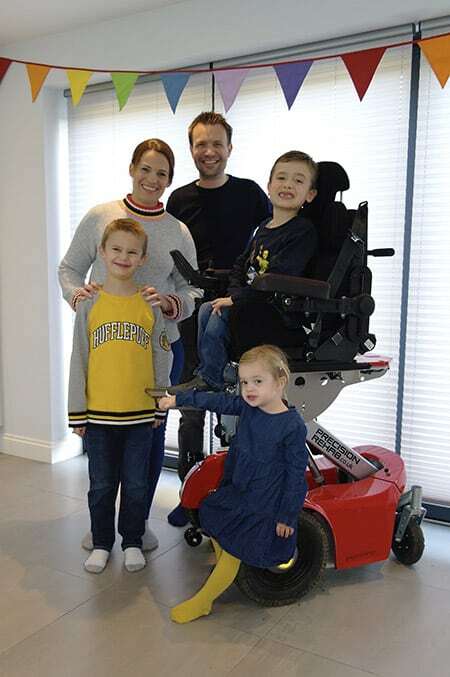 8-year-old George Lockley, from Welwyn Garden City in Hertfordshire, enjoys living life to the full and this is partly thanks to his Piccolino Paravan powered wheelchair from Precision Rehab. George, who has a twin brother Harry and a younger sister Abby, was born with Spinal Muscular Atrophy Type 2. As newborns, both twins appeared perfectly healthy, but as they approached their first birthday, their parents noticed that George’s development had appeared to plateau compared to Harry’s and following numerous tests and assessments, George was diagnosed with SMA Type 2. 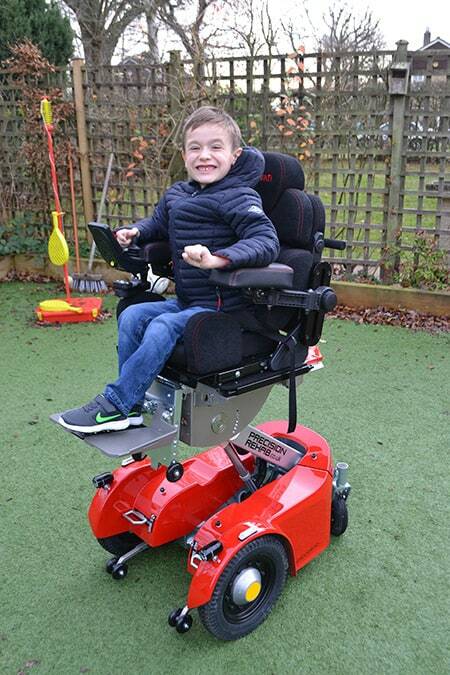 “George’s condition means his muscles are extremely weak and he will never be able to stand or walk and he has therefore been reliant on manual and powered wheelchairs from the age of two” explained Liz, George’s mother. 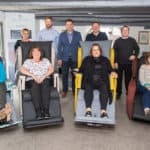 In early 2018, the family decided the time had come to replace George’s powered wheelchair as he needed a larger chair with features not available on his existing model. The family attended several exhibitions to see what was available and George tried 4 or 5 different models. 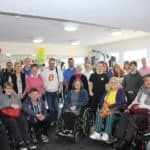 In early May, Matt James, Director of Precision Rehab, visited George at home to conduct a full assessment to ensure the chair would meet all George’s individual needs. 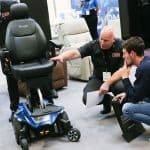 “When Matt visited us with the demo chair, I was really impressed with the way he worked with George, he did not try and push the chair onto George but let him explore the chair and work out all the features for himself and took the time to answer all George’s questions – of which there were quite a few!! !,” said Liz. 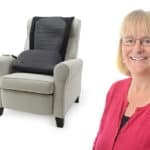 As soon as the family had secured the necessary funding, Liz got in touch with Matt to order George’s chair which was delivered in November. She added: “George’s Piccolino is the best chair he has ever had. 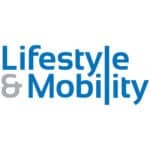 The service from Precision Rehab has been second to none and I would not hesitate in recommending them to any parent looking for a powered wheelchair for their child. 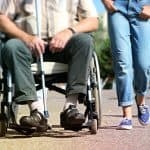 For the parents of a child with a disability, toileting when out and about can often be difficult for all concerned as their child gets older and heavier due to the lack of good disabled toilets with adequate space and equipment. However, thanks to George’s Piccolino being able to adjust to a horizontal position, it practically converts into a changing table which makes it much easier to help George with his toileting. George also hates missing out on any lesson time at school and thanks to this feature on the chair, the changing process is much quicker for staff to complete and George is only out of class for a few minutes. Matt commented: “It has been such a pleasure to help George and his family. 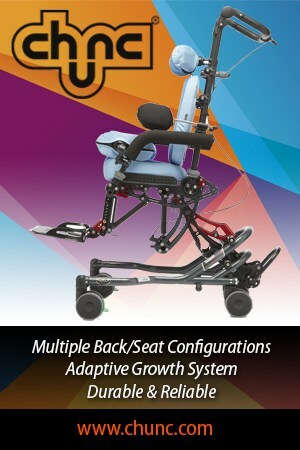 As with many Piccolino powered wheelchairs, we tailored George’s to meet his exact requirements including moving the joystick from left to right, fitting a different seat belt and custom lower leg length. As George and his friends grow, he wants to be able to talk to them face to face and with the Piccolino’s rise function, he can do this whenever he wants. 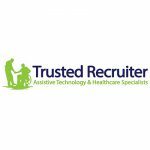 “My new chair is brilliant, it is so comfortable. I love the way it goes up and down and flat and being able to see how fast I am going on the screen is great. I also love the headlights,” commented George.